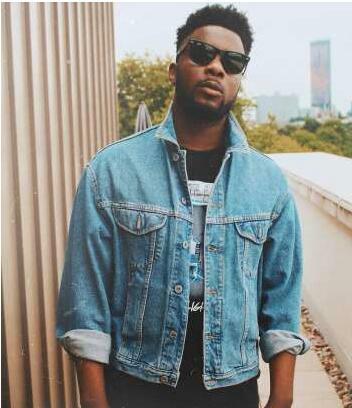 Nigerian singer Maleek Berry is now a motivational speaker. The music star had his first ever TEDx Talk in Peckham, London. The 'control' singer shared the news with fans and followers via Instagram on August 2, 2017." "My first ever TED Talk is now available to watch on YouTube! Thanks to @tedxpeckham for having me and allowing me to tell my story & share my ideals! Hope it inspires some of you to Find Your Truth!," he wrote alongside a short clip of the award winner doing his thing. The event hosted by the Peckham community boasted a line of speakers, mostly of Nigerian origin. The music producer broke down his journey from a young child who enjoyed music to the hit-maker he is today. His story detailed his experiences from his contact with music and his life on the way to stardom. The British-born recording producer and recording artist first began to crack the Nigerian market as a producer. He worked extensively with African pop stars to gain a footing back home. His records with Wizkid, Davido, Iyanya, Wale, Runtown and others, served as a stepping stone to his recording process. His 2013 single ‘The matter’ featuring Wizkid became a hit in Nigeria. In 2016, another single ‘Kontrol’ became a crossover hit, and he has utilised perfectly to transition into a local star within the country. His EP, “Last Daze of Summer” was critically acclaimed, and in 2017, he is releasing more material and guesting on new records. The most of these feature appearances of 2017 is his work on Ycee’s hit record, ‘Juice’.